OUR GUESTS | Untamed Borders - Adventure travel.. I really enjoy running and travelling so try to combine the two whenever I can. 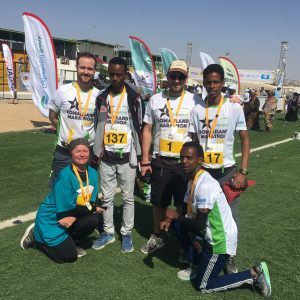 When I saw that Untamed Borders were involved in a marathon in Somaliland I thought it would be a great opportunity to run in a place that has interested me for a long time. 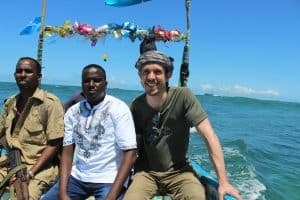 I spent five days in Somaliland and every day was full of unique experiences highlighting many different aspects of Somali culture. James and Mohammed were amazing guides and made me feel really comfortable the entire time we were there. The run was a blast and the atmosphere rivalled some of the larger runs I have done in the UK. The logistics of organising a running event in a country that essentially does not exist must have huge logistical challenges but the marathon was extremely well organised and went off without a hitch. Meeting local runners and spectators was one of the highlights of the trip. I had such a great time that since returning I have been in contact with Untamed Boarders to discuss looking at future trips to Iraq and Afghanistan. I have just returned from my fourth tour with Untamed Borders. 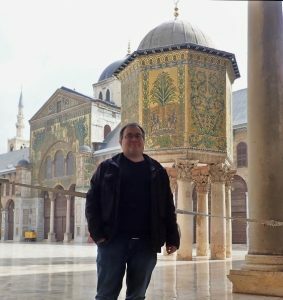 2015 I have travelled to Mogadishu and the Caucasus (Chechnya, South Ossetia), 2016 to Afghanistan (Herat, Kabul, Pandshir) and 2019 to Syria (Damascus and Aleppo). I have been in very different parts of the world with Untamed Borders, but the tours have always the same high standard of quality and have been excellent. The destinations are fascinating and I have always felt to be in good hands. The tours are well prepared and the guides have been outstanding – nice guys and interesting people, attentive and providing a deep insight and understanding of the places visited. I’ve recently returned from an excellent tour with Kausar. Afghanistan & Pakistan have long been on my travel list but I was warned by many of safety concerns…I needn’t have worried because Kausar & Untamed Borders took safety very seriously and I felt extremely well looked after during all parts of my trip. They thought of everything & I was grateful for the attention to detail – this was especially important as a solo female traveller. There is nothing that isn’t possible when travelling with Kausar & he really does know his stuff (history, best places to eat etc). We spent several days in Kabul, visited the Hindu Kush & went ski touring in Bayman. I then spent some time in Lahore which was architecturally beautiful. The experience was every bit as raw & authentic as I’d hoped for and I’d encourage anyone thinking of considering visiting the region to book immediately! I’ve travelled many corners of the globe & this was a definite stand out. Thank you thank you! I had planned to go to Afghanistan for a long time, as it is part of my quest to visit every country in the world (it was no. 189 out of my target of 197), but I had put it off for many years due to security concerns. Many of my trusted friends had recommended Untamed Borders, and I finally decided to go despite the security situation. Now, I wish I had gone sooner. I had an amazing time, and our guide was hands down the best guide I have ever met! His knowledge of the region was outstanding. But more fabulous was he knew every person who had the key to interesting things we wouldn’t have seen as normal tourists, and interesting folk to meet down side streets, and the great ice cream shop to hang out in. I was travelling with my husband, who is a tad less adventurous than I, and an old friend of mine. None of us felt unsafe at any time, as Kausar and the team had gone to great lengths to keep us low profile and safe. There was an incident in Kabul when we were there with an attack on the ministry, and we weren’t worried then either as Kausar knew exactly what was going on and where we needed to be. What can I say? From James’ very first email informing me of this spring adventure, right through to the moment I shook hands and bid farewell to Kausar, this trip will be seared into my mind for many years to come. I cannot quantify what I’ve seen and learned. Kausar is a passionate man and his love for his country permeated into the conversations in the car and his insight provided me with a true ‘inside feel’ into the different lives of people across the cities we visited. The photo on the left is one of many beautiful shots Dan took in Afghanistan – the full album can be seen here. I had a really interesting time and got to see a lot of interesting spots. I had a fantastic and lucky experience as my guides could set up a meeting with local veterinary students at the university (I work as a vet myself). I got to speak to them about my experiences as a vet and give a motivational talk about studies and work. I spent a fantastic time with your guides in Pakistan and Lebanon. They were each outstanding, knowledgeable, personal, on time and professional. They shared freely and openly of their philosophies and insights while at all times being respectful of other opinions. I appreciated that each of these individuals served not only as my guide, but also as my guard. While they were respectful of everyone, if anyone started to become at all uncooperative or aggressive, these guides immediately took strong protective measures on my behalf. 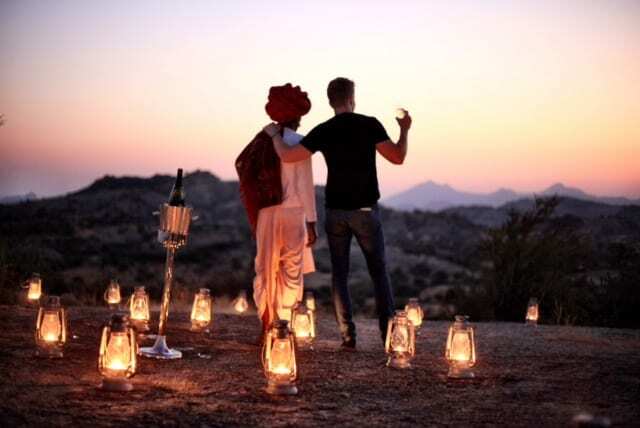 Each of the guides listened closely to my interests and included special visits and excursions tailored to my passions even when those experiences bonuses and not part of the set itinerary. For example, jeeping on some extra extreme roads and watching Kabbadie Wrestling in Pakistan and especially to Mleeta in Lebanon to see the Resistance Memorial and walk through the fighter tunnels and talk to very knowledgeable people. My only problem is that you have now spoiled me and it will be hard for anyone else to measure up to this experience and these kinds of excellent guides. I look forward to travelling with Untamed Borders again. Mark travelled with us to Pakistan and Lebanon. 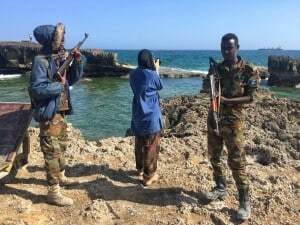 I didn’t realize that it was possible to actually visit and check out Mogadishu until two months ago when I stumbled upon Untamed Borders in an online search for a trip to a different destination. Despite being a last minute and quite spontaneous plan, Matthew promptly responded to my emails and with a lot of back and forth managed to organize a 4 day private trip to Somaliland and Mogadishu. The entire Somali region shared the same need to vividly illustrate the products they sell on their stores which gave both cities a very vibrant and colorful appearance. The highlight of my two-week African trip was actually getting to visit Mogadishu. You can see, even through the destroyed buildings, how beautiful this place looked with all the Italian architecture everywhere and how much potential the city has when it hopefully becomes safe one day. The team that escorted me, as well as my security detail, were such great sports and showed me a lot more than I thought I’d see, and were a great pleasure to hang out with. I’d highly recommend Untamed Borders to take you where you thought you couldn’t go, any day! I must admit that I was somewhat stressed as I boarded the flight to Islamabad. However, just seconds after meeting with the Untamed Borders team my stress completely disappeared as the guides are rock solid and make you feel absolutely safe 24/7. 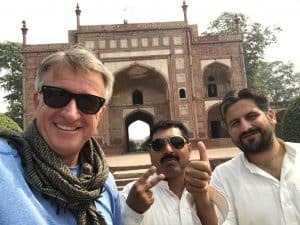 I have, for as long as I can remember, dreamt about going to Pakistan… Untamed Borders managed to exceed all my expectations, not just down to the incredible trip but also the unique experience that they provided. The guides (as well as the pre, during and after support provided by the company) was absolutely amazing and we couldn’t have asked for better! Gaynor travelled with Untamed Borders on a trek to Afghanistan’s Wakhan Corridor – September 2016. Tom travelled with Untamed Borders on the Pamir Mountain Lakes trip in Tajikistan – September 2016. “The logistics worked perfectly. Travelling on the ice roads is extremely difficult and exhausting, by 4 to 6 gigantic wheel drive vehicles, let alone packed in those incredible wooden sledges-boxes pulled by snow mobiles. We did enjoy sharing the experience with our guide: a nice reliable guy, smiling and good tempered; and being such an enthusiastic world traveller makes him a great person to talk to: we had a lot in common. He is a “real Russian” too, he knows a lot about the Nenets and he really behaved like a member of our Nenets family. We can say that our trip has met our expectations, and we’ve taken a lot of photographs. We had two highlights, the family reunion and picnic on the 8th of March and of course the fantastic migration. “I had an excellent time in Afghanistan. I am very grateful that Untamed Borders was willing to arrange such a brief and budget-friendly trip on a short-notice. “A big thanks to Untamed Borders, my dream to visit Mogadishu finally came true. It’s been five years since I started thinking about the Somalia trip and they made it happen. I wish I had known the company earlier! 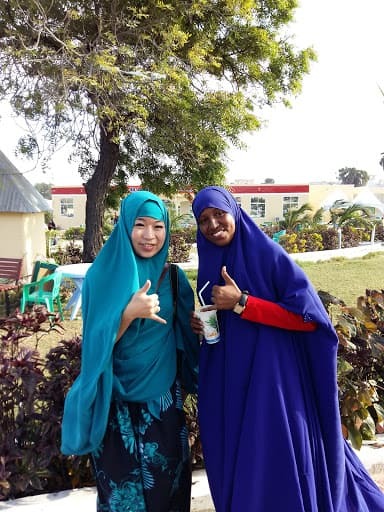 Seiwa wrote a blog on her tour to Mogadishu. It’s in Japanese and the photographs are fantastic. Have a look! You can find more of Keith’s photographs on his websites here and here. Velichko travelled with Untamed Borders on our K2 – Concordia trek in Pakistan in July 2015. The photo is of him with the mountaineering legend Juanito Oriazabal. Our guests often meet some of the world’s greatest alpinists on this trek. “What a trip it was! I was met by my guide and the adventure started. They assured me that I’d be fine and we took off. 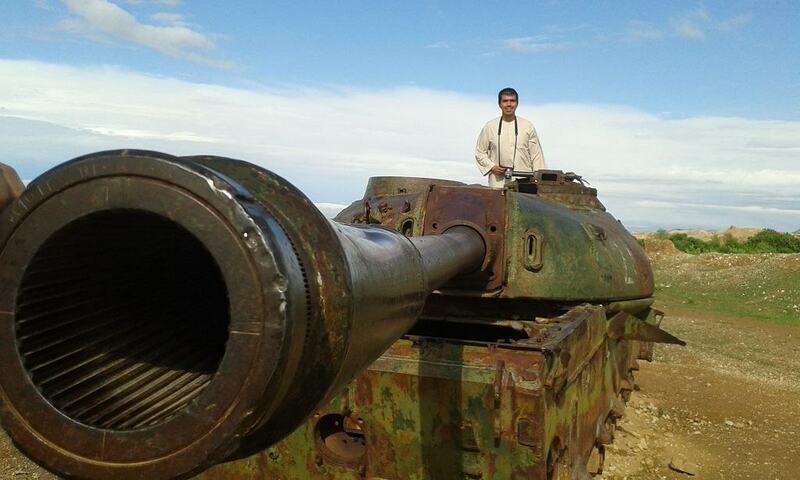 Noor was informative and showed me everything I wanted to see; Balkh, the blue mosque of Mazar e sharif and old, abandoned tanks from the Soviet-Afghan war. To pick up used ammunition, find pottery left behind by the soldiers of Alexander the Great all in one day…wow! To see the Blue Mosque (Shrine of Hazrat Ali) of Mazar e Sharif with it’s white doves has always been a dream for years, and seeing it really lived up to my expectations. “We would like to thank you and all the crew for the fantastic time in Mogadishu. Both the guides were really very professional and their help was so appreciated. I really can’t think of anything that you could do differently and I would recommend it to anyone that have the interest to do it. You are doing fantastic job and have a wonderful crew which knows what they are doing. Ugnius, Gautur & Aron travelled with us to Mogadishu in January 2015. 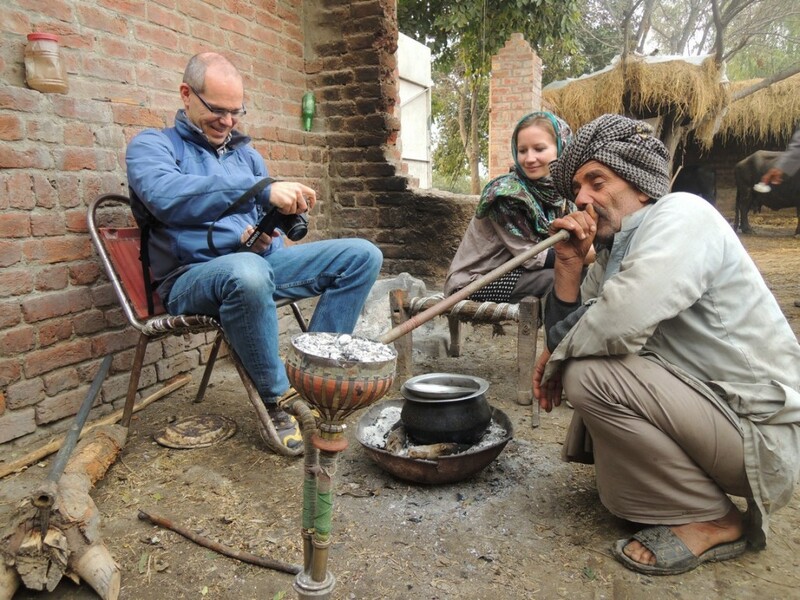 Ingo & Ilse travelled with us to Pakistan in December 2014. “Thanks for all your help in organising our Wakhan trip. It was a great trip and glad to get to visit the Kyrgyz & Wakhi camps. Moritz was helpful and knowledgable. The horsemen and Ibrohim were great! Bill went on our Trek the Wakhan trip. 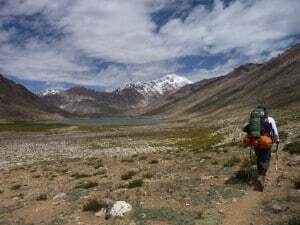 A 22 day trip into the wilderness of the Wakhan corridor and the Pamir mountains of Afghanistan. As well as being a guest of Untamed Borders Bill runs a medical aid organisation helping remote mountain communities. See this link for further details. In June and July 2014 we guided Skip, Kazim and ten of their motorbiking guests through the Russian Caucasus from the border of Azerbaijan to the Georgian military highway. They passed through Dagestan, Chechnya, Ingushetia and North Ossetia as part of a larger trans-Caucasus trip. This collaboration made it the first ever commercial motorbike touring trip to travel these Russian Republics. If you are keen to join them on their next motorbike trip through the Caucasus or any of their other pioneering bike trips then check out their website here. “I would like to say thanks for the amazing trip you provided to the wonderful Pakistan. Everything about the tour was perfect. Kausar was a excellent guide who would go out of his way to make sure that I experienced everything I could while in Pakistan. I didn’t just feel like a client but rather that I was travelling with a friend. The Shandur pass turned out to be a highlight of the trip. I remember seeing photos on your Facebook page of the polo festival, so I couldn’t believe that I got to experience it. 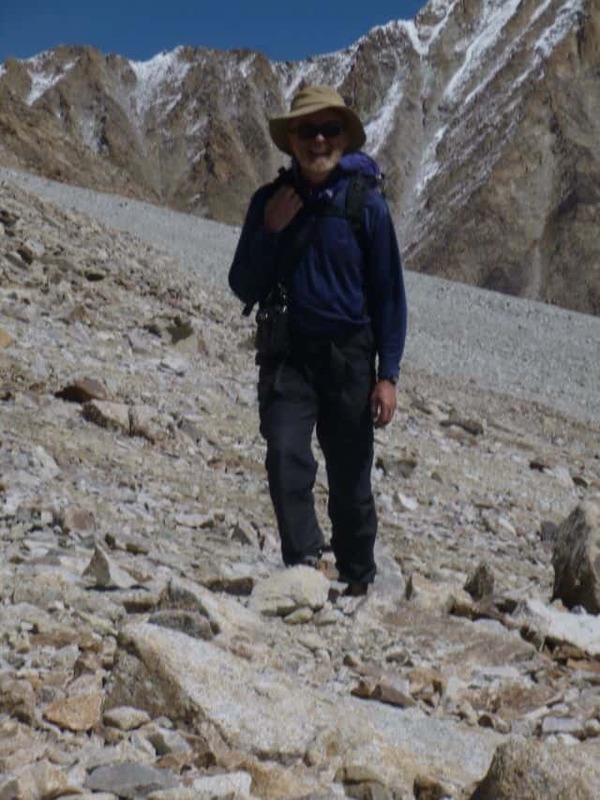 Graham travelled on our Karakorum Valleys trip to Pakistan in June 2014. Photos of that trip can be found here. In the Spring of 2014 we welcomed a group led by Bill Altaffer (sometime’s known as the world’s most travelled man). He was continuing his quests to visit all 91 Oblasts and Republics of the Russian Federation. We successfully took him and his group to Abkhazia, Adygea, Karachai-Cherkessia, Karbadino-Balkaria, North Ossetia, Ingushetia, Chechnya and Dagestan. Derbent in Dagestan was the 809th UNESCO World Heritage site that Bill had visited. “The whole trip with Kausar was fabulous. It was exceptional. My appreciation, which I tried to be clear about to Kausar and his mighty men before I left, is heartfelt. Simply everything in my contact with Untamed Borders has been exemplary. Kausar is a gem. Inventive, thoughtful and can-do, and without fuss or condescension. It was not at all difficult to fit in; everything just seemed to roll on. Maybe, it was the duck thing: looks effortless from the outside, but furious paddling going on below. If so, it never showed. In April 2014 Untamed Borders arranged guiding for Mark in Bamian, Kabul and Mazar e Sharif in Afghanistan. His rather gushing quote is really what he wrote! Photos from that trip can be seen here. Amy visited Bamian, Kabul and Mazar e Sharif in Afghanistan with Untamed Borders. 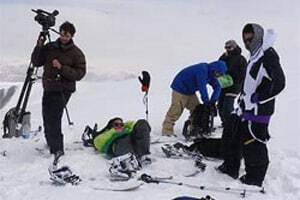 In February 2014 Untamed Borders arranged guiding and logistics for reporters and cameramen from Newsweek and Storyhunter as they covered the 4th annual Afghan Ski Challenge. Their story and video can be found here. 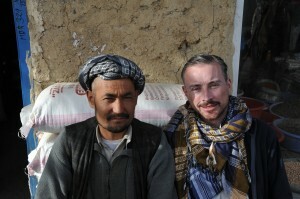 In 2013 Untamed Borders arranged guiding for Erik in Afghanistan. “The trip was really stella. The itinerary was diverse and we I would’t have been able to get ourselves around by ourselves. We needed Pei and we needed the drivers. The roads were something else. I could not believe how isolated Tawang was. Unbelievable. We learnt a lot about the tribal regions and also about how the NE feels isolated from the rest of India and the political issues that go with it. It was really interesting. Also Cheerapunji was sensational. I don’t know if I’ve ever seen anything like those living bridges before. I’ve frequently bragged about going there ever since. Naomi travelled with Untamed Borders to the North East states of India. “Mogadishu – surely not a destination for recreational holidays! But on the other hand our small group of 3 travellers could enjoy the hospitality of (mostly) nice people that were often really interested to get into contact with “normal” foreigners after more than 20 years. We also did like the delicious cuisine that is a mixture of traditional elements (including fish, goat, camel and chicken) with Italian ones (like spaghetti and pizza). As expected we saw a heavily damaged city of course but there are still some streets where you can feel why this city was once called “the white pearl of the Indian Ocean”, including at least remains of its Italian colonial past (like the ruins of the former cathedral or the old lighthouse). With our heavily armed guards we could even pass the famous Bakara-Market (known from “Black Hawk down”). We enjoyed swimming in an incredibly warm ocean at a very white beach after having had fine seafood and ice cold camel-milk at a beach-restaurant. James is working on a project documenting food on the grand trunk road. Check out some of the photos from his 2012 trip here. Check out photos from his 2013 trip here. James travelled with Untamed Borders in Peshawar, Rawalpindi and Lahore. 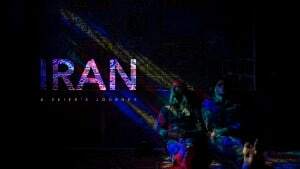 In the winter of 2012 Untamed Borders worked with snowboarders Clint Allen, Mitch Allen and Nick Gregory, photographer Vaughan Brookfield, journalist Alex Cameron and film maker Richard James to make WHITE SILK ROAD – SNOWBOARD AFGHANISTAN. It was an amazing experience for them and an inspiring one for us and the people of the Koh e Baba mountains to see these professional boarders fly down mountains, off cliffs and over houses and donkeys. Check out their website for a glimpse of the trailer and where you can see this ground breaking movie. “A very challenging trip but highly rewarding. Having Kausar as a guide to solve problems was exactly why I decided to go with Untamed Borders and not alone. My best moment in Afghanistan was walking along the ridge of the lapis-blue lakes in Band e Amir with the snow-capped Koh e Baba range in front of me. I’ve never been in such an awesome place in all my travels!”. 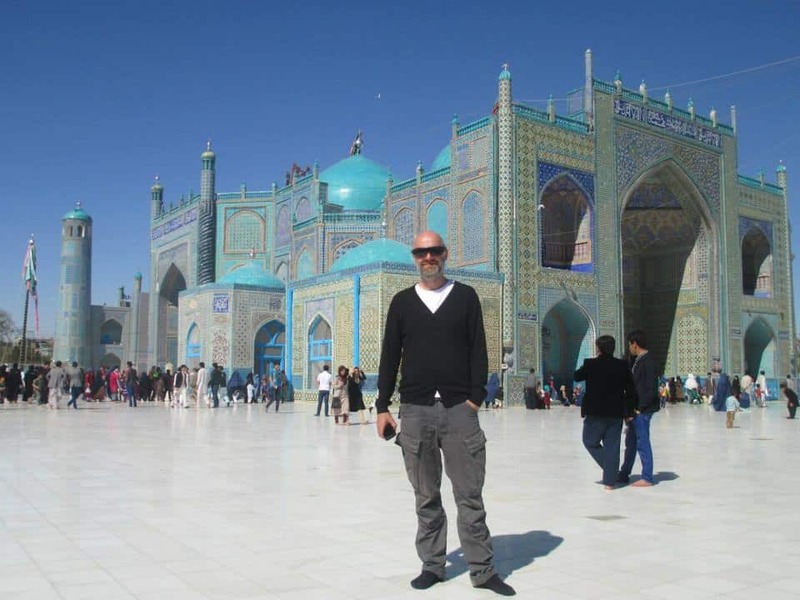 Jason travelled with Untamed Borders on a private trip in May 2012 to Kabul, Herat, Panjshir, Mazar e Sharif, Balkh, Bamian and the lakes of Band e Amir. Check out photos from that trip here. “Another excellent trip with Untamed Borders to the North Caucasus – North Ossetia, Chechnya, Ingushetia and Dagestan. Bearing in mind the problems of travelling within that region, they still managed to ensure that we saw everything on our extensive “things to do” list – plus a few extras. Seeing Ramzan Kadyrov (the president of Chechnya) giving a speech in Grozny, drinking Dagestani brandy with display restorers in the basement of Makhachkala Museum, walking through the old Muslim cemetery in Derbent – amazing. 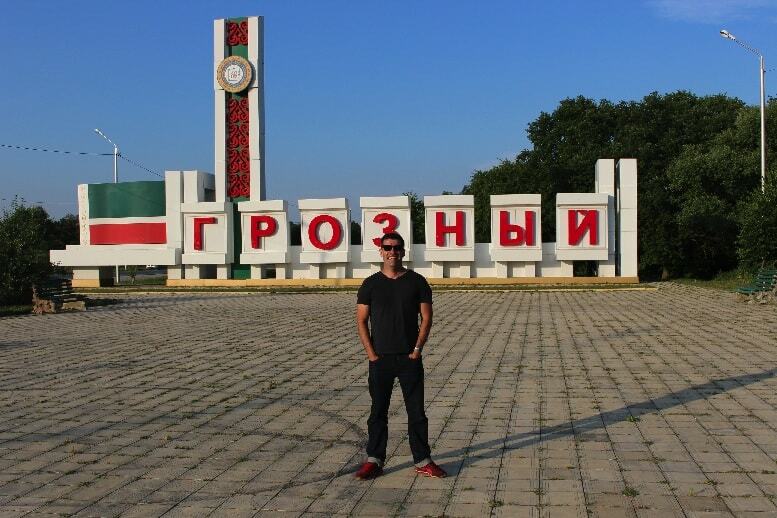 Andy and Nigel asked if we could arrange a trip to their “dream destination” of Grozny. 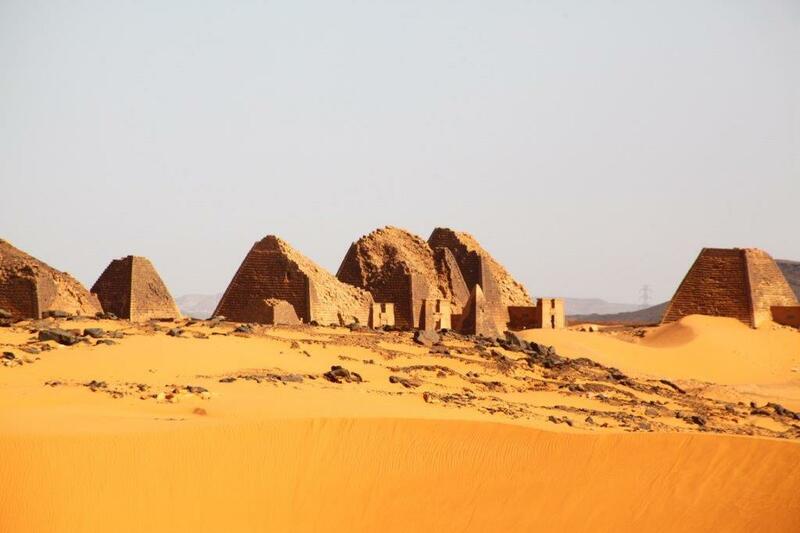 It was the kind of challenge that we like at Untamed Borders and were able to organise a bespoke trip to this beautiful and misunderstood region. Contact us if you fancy doing something similar. 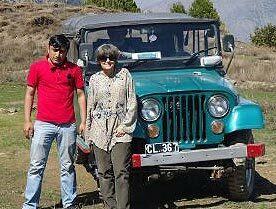 Karen joined Untamed Borders for a private trip to Chitral, the Kalasha valleys, Peshawar and the Greco- Buddhist sites of Northern Pakistan in the Spring of 2012. Untamed Borders guided Robin in Afghanistan in 2012. He wrote about his experiences in his book SOUK to SOUK. 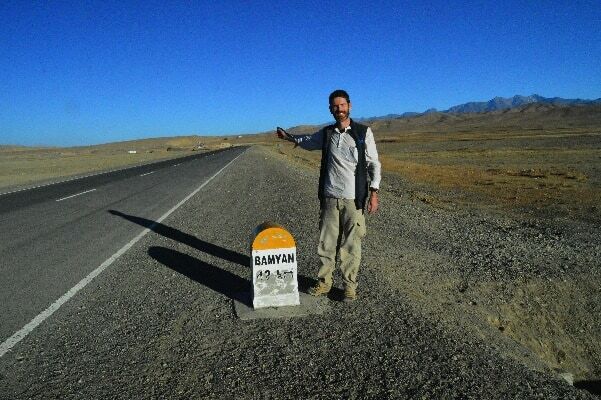 Alex joined the Untamed Borders Grand Afghan Tour – Melons and Grapes trip that visited Kabul, Bamian, Mazar e Sharif and Herat in September 2011. “We would like to thank the crew of Untamed Borders for our amazing trip to Pakistan. It would not have been possible for us to experience so much in so little time without Kauser and Prince. We want to thank you for making us feel safe and at home. Thank you for introducing us to all of your friends. The people we met were the highlight of the tour. Thank you for all of the delicious food. Your hospitality and generosity was extraordinary. A special thanks goes to James for his help organising the trip via email. The whole process was hassle free and exactly what we wanted. Extra thanks for helping us to organise the paperwork so we were able to obtain our visa in Saudi Arabia. You are all Super Stars. Liz and Naomi joined Untamed Borders for a private trip to Peshawar, Chitral, the Kalasha valleys, Islamabad and Lahore in November 2011. Untamed Borders provided logistic support to Daniel and his team of climbers as they travelled to the Wakhan corridor and successfully summitted three unclimbed peaks on the Afghan/Pakistan border. The expedition was shortlisted for the Alpine climbing expedition of the year by The Royal Dutch Climbing Association and won the Hermn Plugge Irish Coffee Award. Visit the expedition website for further photos and details. Check out our Alpine Afghanistan page for trips and ideas for Climbing in Afghanistan. Justin and Elenora joined Untamed Borders for a trip to the North East of India. They visited the Tibetan Buddhist region of Tawang, accompanied Adi tribesmen on a traditional hunting trip to the jungles of Arunachal Pradesh and crossed bridges made from living trees built by Khasi tribespeople a stones throw from the Bangladesh border. “Thank you for hosting an amazing trip to Afghanistan, it was thoroughly enjoyable. Kabul and Bamian especially were amazing to see. 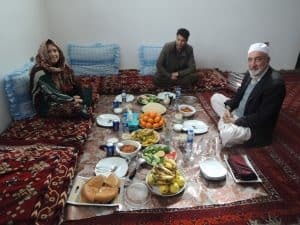 I truly enjoyed meeting all your friends in Kabul and getting the chance to share a meal with them and learn about Afghan culture and traditions. I especially want to say thank you for catering to my special dietary allergy needs – you guys really went above and beyond with that! Jimmy visited Afghanistan during the Nau Ruz celebrations as part of a group of students from the London School of Economics. 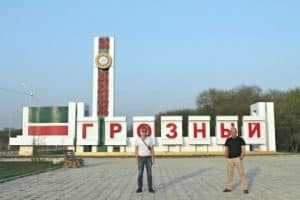 “Despite the warnings of travelling to Afghanistan I couldn’t resist visiting as I had travelled to all of the rest of Central Asia. Uncertain of what to expect, I enlisted the help of Kausar Hussain from Untamed Borders. His assistance proved to be indispensible as he knew local people and languages in the areas of interest for tourists. Kausar’s courage, determination and thorough knowledge of the country swiftly gave me confidence and his lessons of political and historical issues made me understand the current situation and passed the time on the long overland trips. 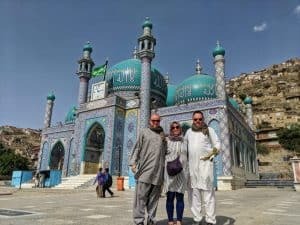 Untamed Borders arranged a bespoke trip to Afghanistan for Gerd visiting Kabul, Mazar e Sharif, Balkh, Herat, Bamian and a magical trip to the Minaret of Jam. 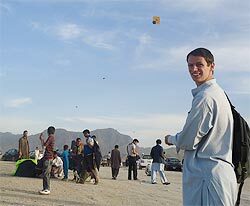 Niall was guided in Afghanistan by Untamed Borders in 2008. 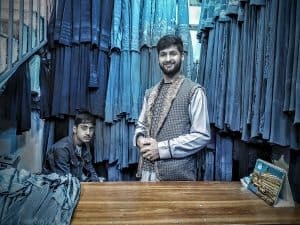 “I am not one to ever take tours but crossing the border areas between Afghanistan and Pakistan was different and I felt I needed some support. Hussein ensured my crossing of the Khyber Pass was hassle free. The places he showed me in and around Peshawar are something that will live with me for a long time”. 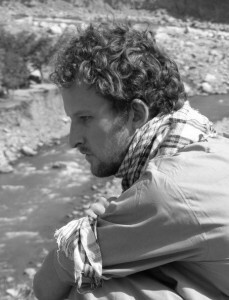 Mark was guided by Untamed Borders between Afghanistan and Pakistan in 2008. 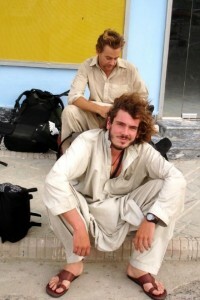 Egill was guided by Untamed Borders in Pakistan in 2007. 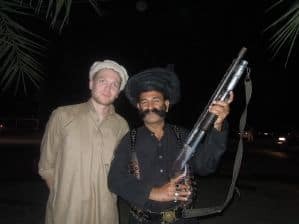 Simon and Alex were guided by Untamed Borders in Pakistan and Afghanistan during 2007.